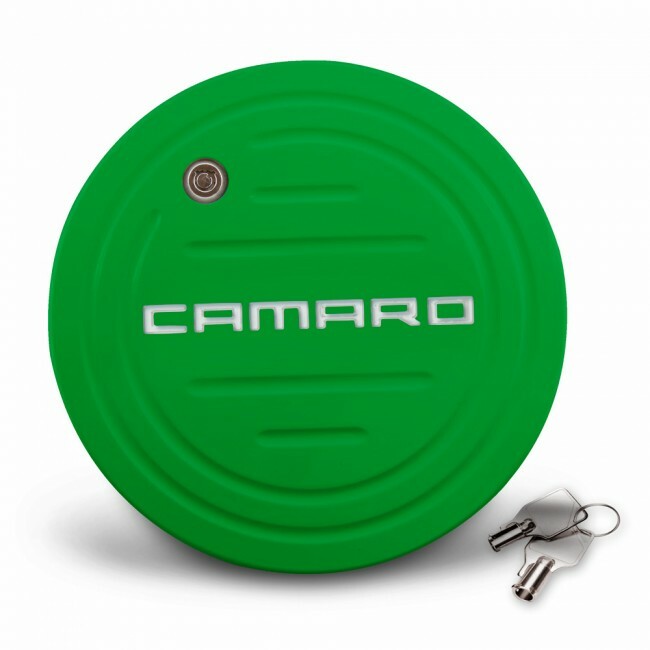 Meticulously crafted from premium aluminum billet and finished with a durable OEM color-matched Camaro logo on Synergy Green fuel door. Choose from any one of 15 “Camaro” logo colors and create the perfect accent for you! High quality lock for security with two keys included. Fits all Generation 5 Camaros. Installation instructions included. One year manufacturer's warranty.